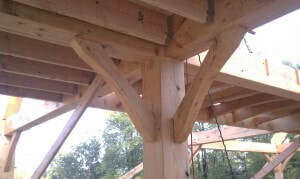 Timber Framing - E.R. HINMAN & SONS, INC.
E.R. HINMAN & SONS, INC.
Our expertise starts at home. In 2010, Hinman Lumber completed its Hinman Barn Headquarters on Milford Road in Burlington, Connecticut. This “Post and Beam” structure is home to our central office, wood working shop and showroom for wood shop projects. 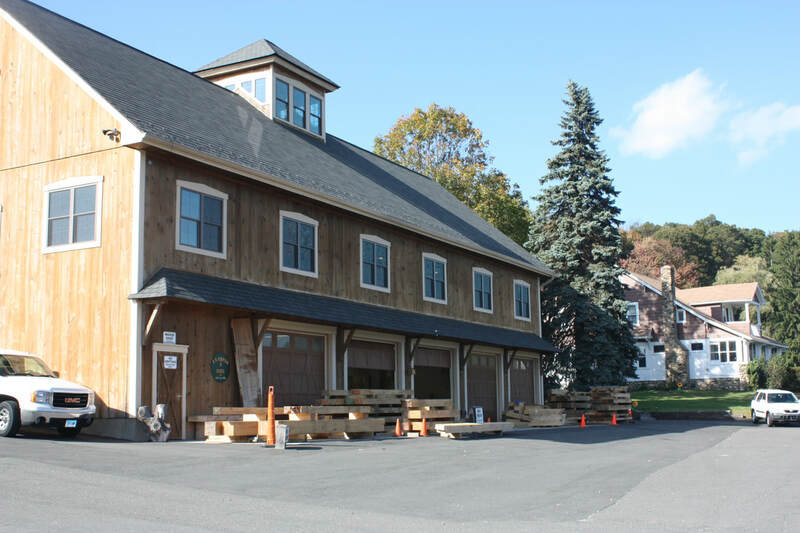 The building inspired us to launch our timber framing division. A timber frame structure combines the very best of historic tradesman joinery, the allure of nostalgia and cutting edge design. Our projects are defined by a sense of permanence that is both striking and inviting. Generations will pass through the structures we build. 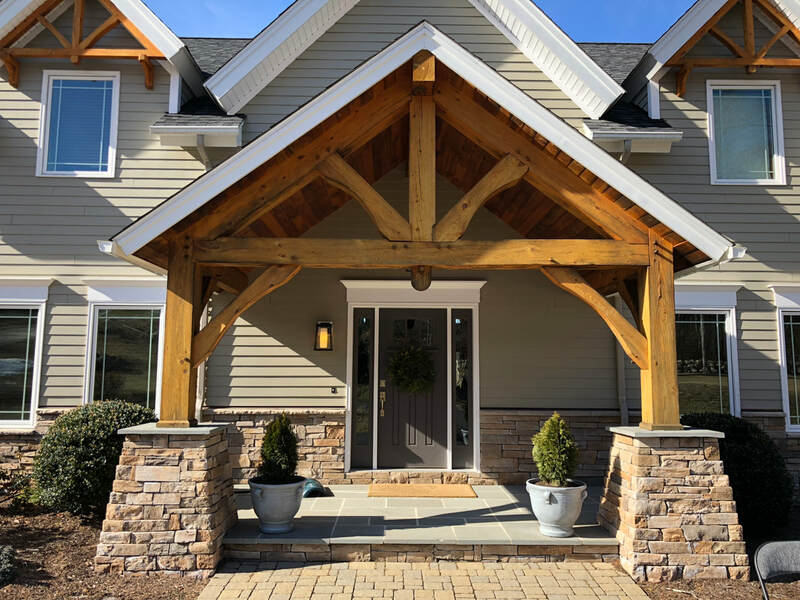 We take pride in constructing timeless architectural heirlooms.Today we are equipped to handle any residential, light commercial and municipal timber frame project from design and concept to complete project management. Our team is comprised of a freelance timber frame designer, an in house layout and fabrication crew, delivery support and on site building services. 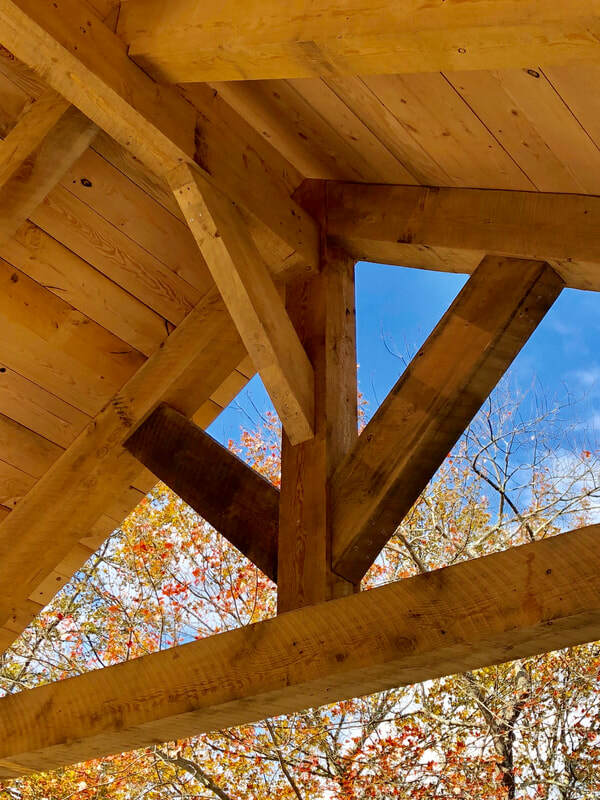 We’re experienced and equipped to handle mortise and tenon timber frame construction as well as metal bracket joined post and beam construction. 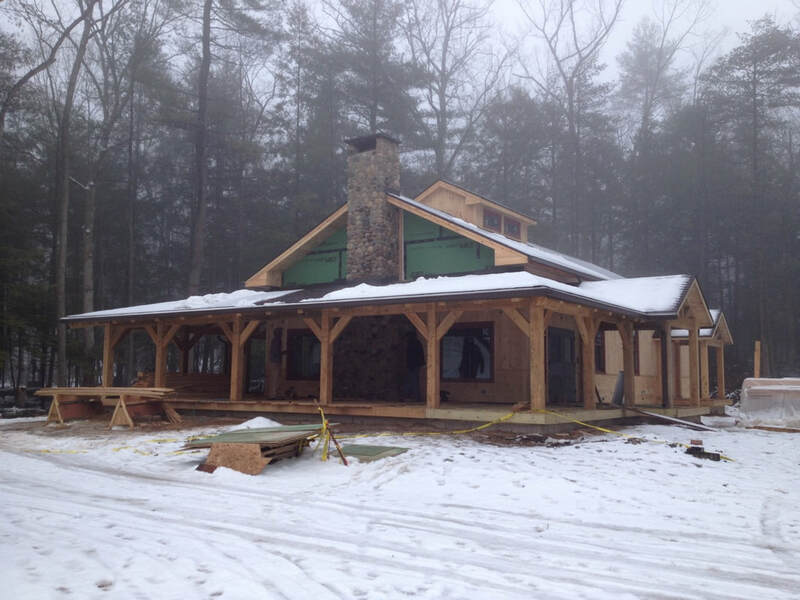 Our Project Manager, Jared Braddock, will work with you to design the timber frame home of your dreams. Check out the Supreme Industries Building Division website to see what they are building right now. 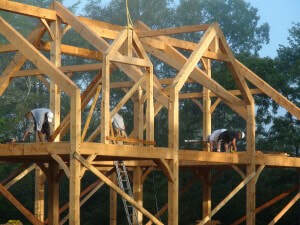 The historic craft of timber framing is experiencing a revival. Timber frame construction at E.R. Hinman and Sons blends age-old building techniques and modern technology. “Full service” is not just a phrase at our shop for the service and dedication we provide our clients. Our process starts with you. Your dreams. We can harvest native forest product at your location. We own a full service sawmill at the E. R. Hinman facility. The timber is cut and sized in our shop and assembled at your location. 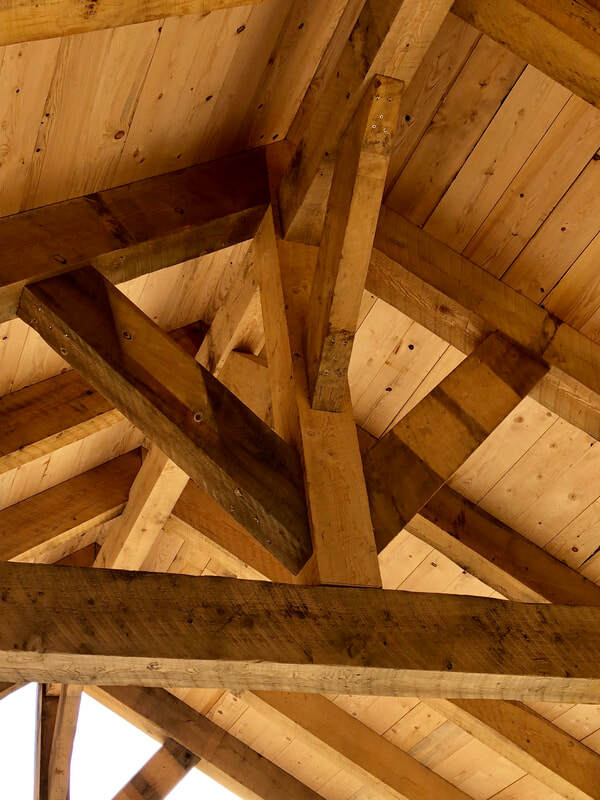 No detail is overlooked as our craftsman work to make your timber frame dream a reality. 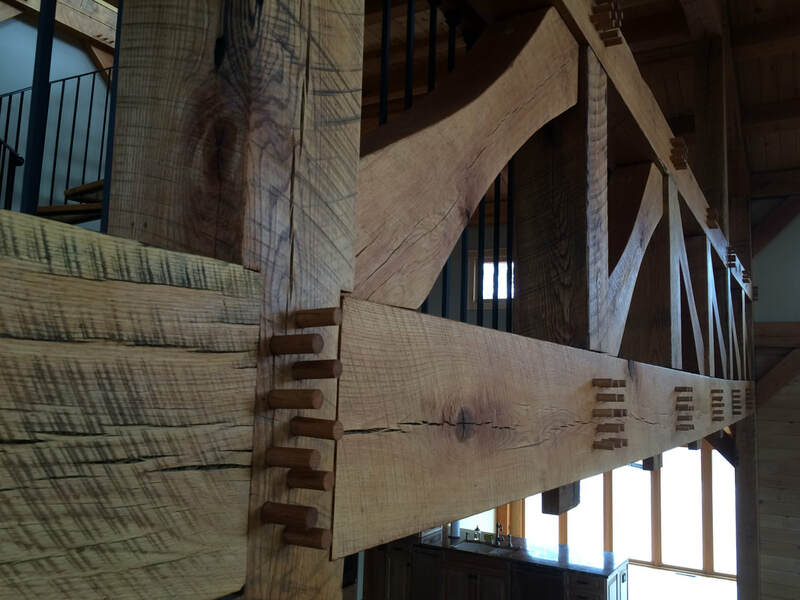 The result is a one-of-a-kind structure created by joinery that connects posts and beams that will endure for generations. 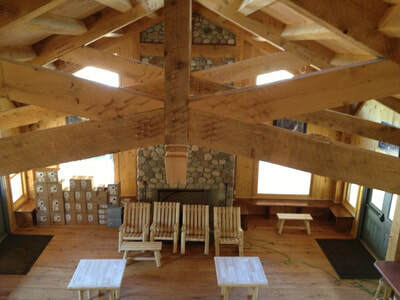 Timber frame buildings constructed by the accomplished team at E.R. 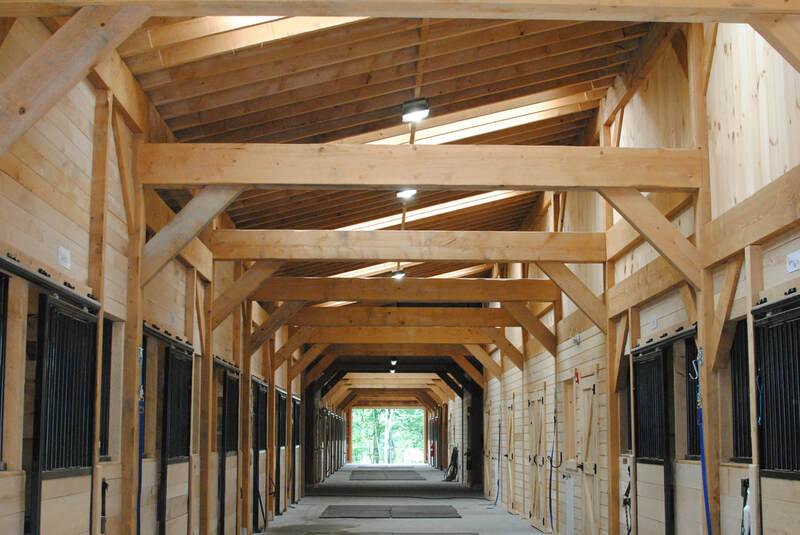 Hinman & Sons are not only beautiful to behold, the structural performance of our timber-framed structures typically exceeds the strength and longevity of most traditional structures built today. At E.R. 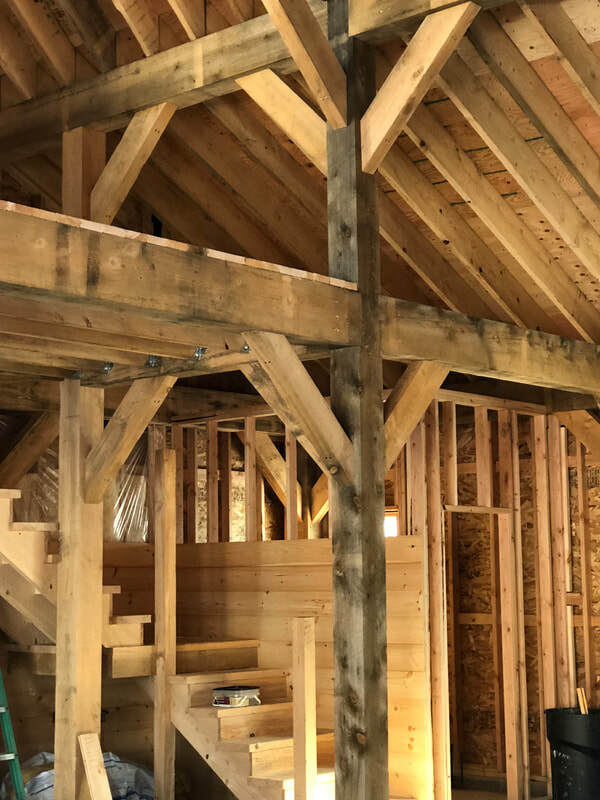 Hinman & Sons, we are experts specializing in timber framing and can provide timber frame construction services to consumers directly or to general contractors building their clients’ homes. With either approach, we work closely with the client to ensure that construction proceeds smoothly. We encourage our clients to work with our team directly or hire an experienced architect and general contractor and come to us with your plans. Our goal is to ensure optimum design integrity and construction quality. When researching options for your new timber frame home we believe in the utilization of green, sustainable building practices. 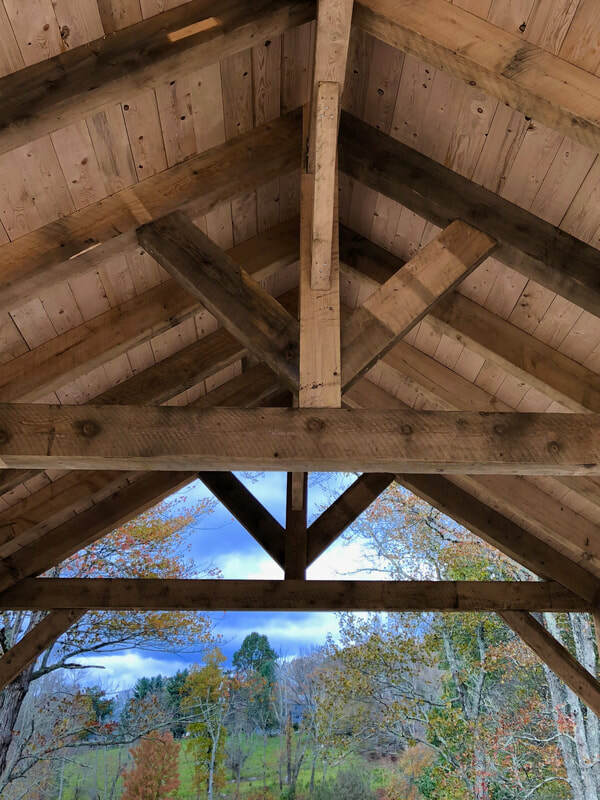 Much of the timber for structures we build comes from locally grown and harvested wood from sustainably managed Connecticut forests. And our love of "all things green" does not stop at the timber, we minimize the use of non-local construction materials by utilizing aggregate, stone, and fill directly from your home site. Green construction practices are at the forefront of every E. R, Hinman structure and we highly encourage outfitting your home with state-of-the-art energy efficiency systems to save money on your heating and cooling bills in the long run and protect the environment. Not many homes can boast a superior, structurally-sound home made with local timber that also contributes to the character of the home and building local economy. We believe there is a tremendous investment opportunity in green real estate that will guarantee a strong return for generations to come. A sustainable timber frame home built by the craftsmen at E. R. Hinman and Sons is the hardwood choice for your next home, built to endure for generations to come. Please use our contact page for inquires about our inventory and services.